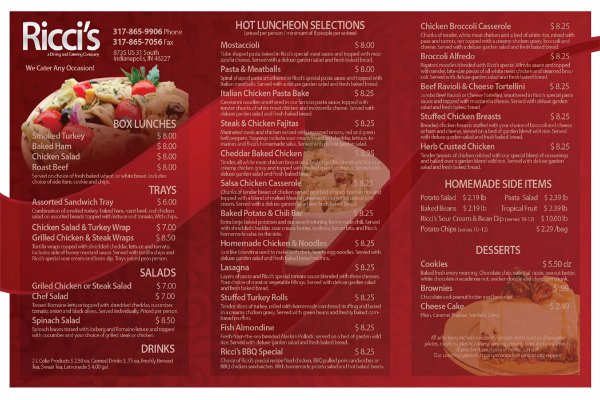 We offer custom design and layout services for your menus. Our design team is ready to assist you with every aspect from custom color schemes to company catch phrases and even choosing the correct size that will bring the most increase to your business. Place your order through our website today or call Troy at 404-781-3480. The menu is the most important internal marketing and sales tool a restaurant has to market its food and beverage to customers. It is the only piece of printed advertising that you are virtually 100% sure will be read by the guest. Once placed in the guest’s hand, it can directly influence not only what they will order, but ultimately how much they will spend. Menu design directly influences sales revenue. Management is constantly forecasting business volume to estimate how much to buy, keep in inventory, and prepare. A properly designed menu makes these kinds of decisions easier and more accurate. A well-designed menu can educate and entertain the customer as well as be a communication, cost control, and marketing tool for your restaurant. The menu is designed to help the guest decide what to order. When you strategically place menu items on the menu, you will sell more of them than if you placed them randomly. Well-designed menus market the food the restaurant prepares best and wants to sell by making those items stand out from the others.